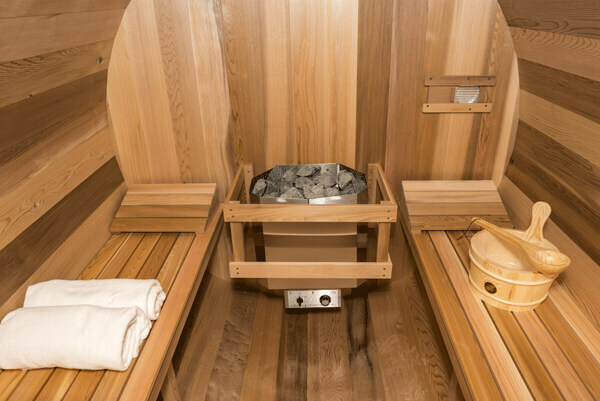 Western Red Cedar is a wonderful for Saunas. It is in high demand for its durability, decay resistance and dimensional stability, and due to its porous cell structure, is light in weight and makes the best insulator of all the cedars. This 2′ (60cm) front porch option provides a comfortable cooling down area outside your sauna. 4′ (120cm) Changeroom With Benches offers a convenient changing area when your sauna is farther away. 20″x30″ (50x76cm) Window in back wall is only available with electric sauna heaters. SaunaCraft Made in Canada stainless steel electric heaters are proven in outdoor saunas. 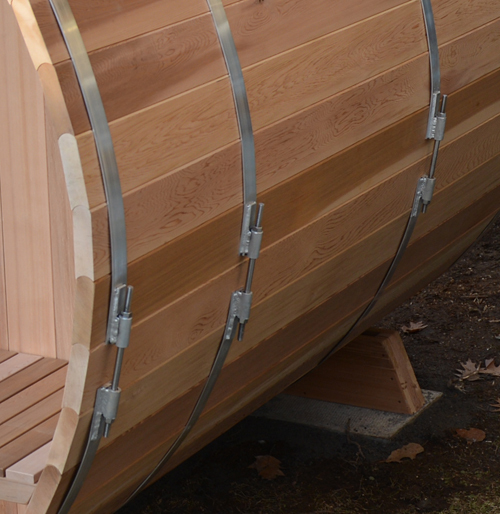 We offer our red cedar barrel saunas in 6 different sizes with endless options, download our product spec sheet below to see many available sizes with options and measurements.